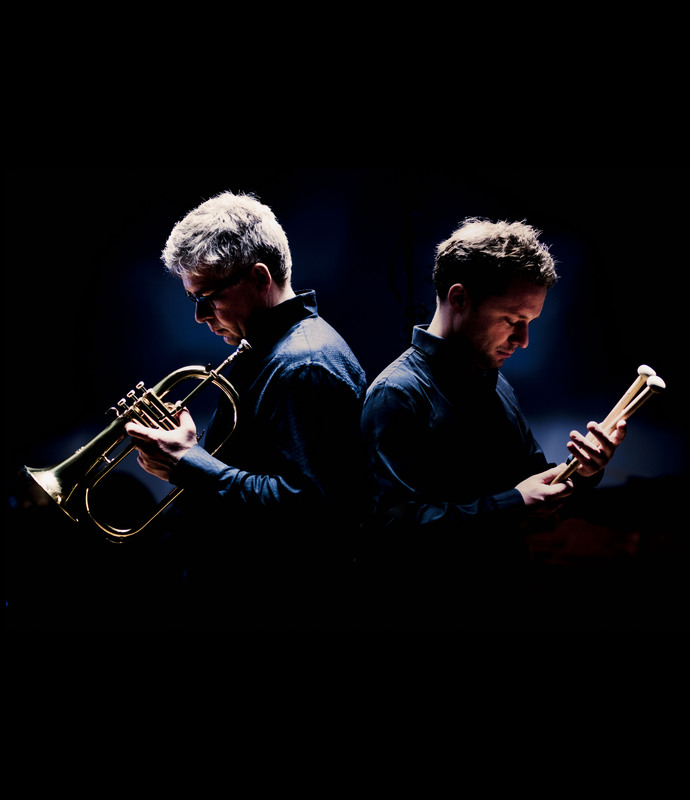 Colin Currie and Martyn Brabbins return to the BBC Scottish Symphony Orchestra this month to give the Scottish premiere of Mark-Anthony Turnage Martland Memorial at Glasgow City Halls on 25 April 2019. They then travel to Inverness’ Eden Court Theatre on 26 April, where Currie joins the orchestra for Kurt Schwertsik Now you hear me, now you don't. 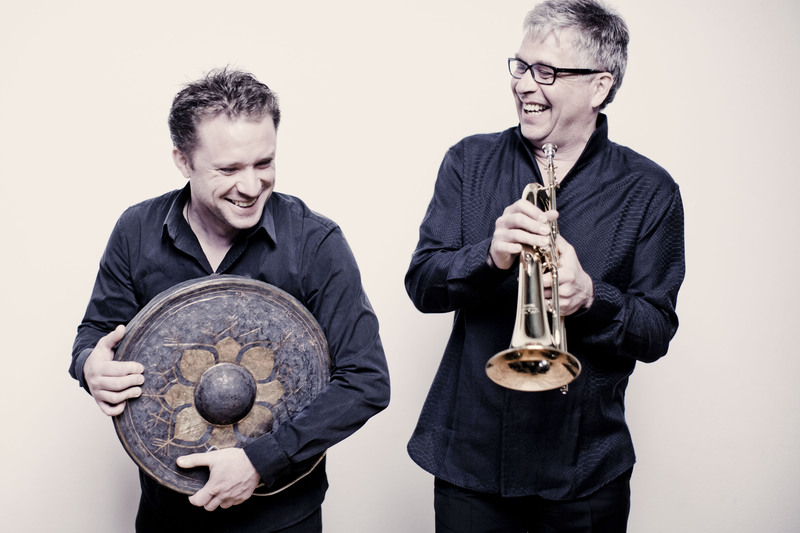 Turnage composed Martland Memorial for Currie as a musical epitaph to their late mutual friend Steve Martland. Currie gave the world premiere of the work with the Britten-Pears Orchestra in 2017 and joined Osmo Vänskä and the Minnesota Orchestra for the US premiere in March. The concert was streamed live on Facebook - click here to watch. Colin Currie Group’s second album, Currie Currie & Steve Reich Live at Fondation Louis Vuitton, is released by Colin Currie Records on 12 April 2019. The album celebrates the group’s long-running artistic relationship with the American cultural icon Steve Reich. The recording was taken from three concerts in Paris which were programmed and performed at the composer’s request, capturing a group of truly world-class performers at the peak of their powers. For this recording, Colin Currie conducts and performs with the Colin Currie Group and their long-standing collaborators Synergy Vocals. The album features Pulse and Proverb, which the group performed for the first time, as well as Mallet Quartet, Music for Pieces of Wood and Clapping Music performed by Currie and Steve Reich himself. The album was featured on BBC Radio 3’s Late Junction on 3 April - click here to listen to the third movement of Mallet Quartet (available until 3 May). Click here to watch the album trailer. "It’s hard to imagine how this inaugural disc could be made any better." Click here to pre-order Colin Currie & Steve Reich Live at Fondation Louis Vuitton now. The Southbank Centre has revealed the line up for the 2019/20 International Chamber Music Series, which is co-promoted with Intermusica. The season opens on 16 October and includes 11 concerts from world class artists and ensembles. Alisa Weilerstein opens the season at the Queen Elizabeth Hall on 16 October with the Trondheim Soloists, performing works by Richard Strauss, Tchaikovsky and Schoenberg. Austria's Hagen Quartet appear at the Queen Elizabeth Hall on 2 December for a performance of Beethoven String Quartets No.14 and No.15, part of the Southbank Centre's series commemorating the 250th anniversary of the composer's birth, Beethoven 250. The Colin Currie Group returns to the series for four performances of Steve Reich Drumming at the Hayward Gallery on 6 and 7 December. The performances recreate the piece's UK premiere, which took place at the Hayward Gallery in 1972, and are complemented by the gallery's retrospective of the work of photographer Bridget Riley. Audiences will have half an hour to explore the exhibition before the concerts. Guitarist Sean Shibe also performs at the Hayward Gallery's Bridget Riley exhibition on 10 January. Shibe performs works from the 17th century to present day, in the context of the exhibition. Colin Currie appears again in the series on 1 February, this time at the Purcell Room with the JACK Quartet. They collaborate on a programme of contemporary works drawn from the last 10 years, culminating in the world premiere of a new work from Andy Akiho. On 27 February, Benjamin Grosvenor reunites with Kian Soltani, Hyeyoon Park and Timothy Ridout for a concert of piano quartets by Brahms and Richard Strauss at the Queen Elizabeth Hall. They previously performed Schubert's 'Trout' Quintet at the series with Leon Bosch in May 2018. Fellow BBC Young Musician of the Year winners Sheku Kanneh-Mason and Guy Johnston unite at the Queen Elizabeth Hall for a concert of historic and contemporary works on 15 March. The duo perform sonatas by Boccherini interspersed with works by Barrière, Glière, Elizondo and Tortelier as well as Emma-Ruth Richards Until a reservoir no longer remains, a new work for two cellists. Anne-Sophie Mutter is joined by the principal members of the London Philharmonic Orchestra at the Queen Elizabeth Hall on 26 March to perform chamber music by Beethoven as well as the UK premiere of a new work by Jörg Widmann. On 19 April, Vilde Frang, Lawrence Power and Nicholas Altstaedt join together at the Queen Elizabeth Hall for a performance of Beethoven chamber works, part of the Beethoven 250 series. The final concert of the series is given on 20 May by the Borodin Quartet, who are joined for the concert by Alexei Volodin and Sergei Nakariakov. Together they perform Borodin String Quartet No.2 and two works by Shostakovich. Sir James MacMillan and Colin Currie return to the Scottish Chamber Orchestra this week, as MacMillan conducts the orchestra in two concerts celebrating his 60th birthday year at Edinburgh’s Queen’s Hall on 21 February and Glasgow’s City Hall on 22 February. Currie joins the orchestra to perform MacMillan’s first percussion concerto, Veni, Veni, Emmanuel, which was premiered by the SCO in 1992. MacMillan also conducts the orchestra and chorus in his 1993 cantata Seven Last Words from the Cross and Arvo Pärt’s Cantus In Memoriam Benjamin Britten. The concert in Glasgow will be broadcast on BBC Radio 3 on Monday 27 February - click here for more information. MacMillan turns 60 in July and orchestras and festivals around the UK and Europe mark this throughout the year. Click here to read more about MacMillan’s 60th birthday celebrations. Colin Currie presents an exciting three-part series, Percussion Century, on BBC Radio 3 beginning on 13 January 2019 at 11pm GMT. He introduces the wide array of colours and sounds the percussion family can conjure up, from visceral, thrilling and terrifying to ethereal, delicate and meditative. The series is Radio 3’s first in-depth series on the percussion family. Composers featured will range from Igor Stravinsky, Benjamin Britten, Steve Reich and John Cage, with performers including Kuniko Kato, Third Coast Percussion, Buddy Rich and Colin Currie himself. Click here to find out more and listen to an excerpt from the first episode. Colin Currie and Marin Alsop join forces across January 2019 to give the world and US premieres of Helen Grime’s new Percussion Concerto. On 16 January they give the world premiere performance with the London Philharmonic Orchestra at London’s Royal Festival Hall, as part of the Southbank Centre’s Soundstate festival, celebrating artists who are making new music in the 21st century. The new work is cast in one continuous movement flowing uninterrupted over 20 minutes, with a focus on the pitched instruments of the percussion family. On 31 January Currie and Alsop then perform the US premiere with Alsop’s Baltimore Symphony Orchestra, with subsequent performances on 1 and 2 February. Helen Grime’s Percussion Concerto is commissioned by Southbank Centre, Baltimore Symphony Orchestra and Swedish Chamber Orchestra. The world premiere performance will be broadcast on BBC Radio 3 on 21 January. After their highly successful concert with Steve Reich in 2016, the Colin Currie Group returns to Corn Exchange on 21 November as part of the Cambridge Music Festival. The programme includes Reich’s Drumming (part 1), Music for Pieces of Wood and Six Marimbas, which the group performs for the first time. Six Marimbas (1986), is a rescoring for marimbas of Reich’s earlier Six Pianos (1973) full of intricate rhythms allowing players to be physically and musically close together. Similar to Drumming, this piece has the same process of substituting beats for rest resulting in a pattern played against itself. Prior to the concert, fifty young percussionists across Cambridgeshire will come together with the Colin Currie Group to co-create a piece based on Reich’s compositions. The percussionists will literally “play” the city’s Corn Exchange with everything from washing-up brushes to spatulas used as makeshift percussion as part of this year’s Cambridge Music Festival. They will be exploring the percussive sound of their surroundings and turning the venue into a musical instrument for a very special one-off performance that will open the Colin Currie Group’s concert. This educational project is a partnership between Cambridge Music Festival and Cambridgeshire Music. This concert follows the group’s Southeast Asia debut at the Esplanade Concert Hall in Singapore earlier this month, with a performance featuring the music of Steve Reich. The programme included Music for Pieces of Wood, Music for Mallet Instruments, Voices, and Organ and Drumming with Synergy Vocals. For more information, please visit the Cambridge Music Festival webpage. Colin Currie's second album for Colin Currie Records, The Scene of the Crime, is released on 26 October 2018. Currie joins forces with collaborator and friend Håkan Hardenberger for the album, which presents four works commissioned and written for Currie and Hardenberger alongside André Jolivet’s Heptade. The album takes its name from Brett Dean’s 2017 composition ...the scene of the crime..., which is the Australian composer’s homage to the pair’s skill and infectious drive, scored for trumpet, flugelhorn and drum kit. Joe Duddell’s Catch pairs marimba and trumpet in a lively, up-tempo score blurring the musical hierarchy of soloist and accompanist. Tobias Broström’s Dream Variations evokes the paintings of Swedish artist Claes Eklundh through use of sustained percussion including Java gongs, vibraphone, and dubaci. The music of Daniel Börtz is often mystical and highly emotive, and Dialogo 4 is no exception, the trumpet and percussion in partnership creating an immersive atmosphere. Written in 1971, André Jolivet's Heptade is the earliest work on the album, and is perhaps the archetypal 20th-century pairing of these two instruments. The late French composer’s music tasks Hardenberger with a fiendish trumpet part while Currie deftly handles a dizzying array of unpitched percussion throughout. Click here to pre-order The Scene of the Crime now. Colin Currie returns to the Seoul Philharmonic Orchestra to perform both an orchestral concert and a collaborative chamber concert with the orchestra’s percussionists. On 30 August Currie will perform Michael Daugherty UFO under the baton of Marc Albrecht at Lotte Concert Hall. Then, on 2 September, Currie joins Seoul Philharmonic percussionists Edward Choi, Scott Verduin, Mun Hong Kim, Miyoune Kim and Ian Brunskill, at Seoul Arts Center to present a varied chamber concert, featuring works by Steve Reich, Toshio Hosokawa and Kevin Volans Four Marimbas, following the Colin Currie Quartet’s Asian premiere of the work at the NCPA Beijing. This season Colin Currie launches the Colin Currie Quartet, formed of some of the core members of the Colin Currie Group and long-time collaborators of Currie, Sam Walton, Adrian Spillett and Owen Gunnell. The quartet make their debut at the NCPA Beijing on 24 August as part of the Percussion Festival 2018, which sees percussion groups from across the world perform in the Chinese capital. 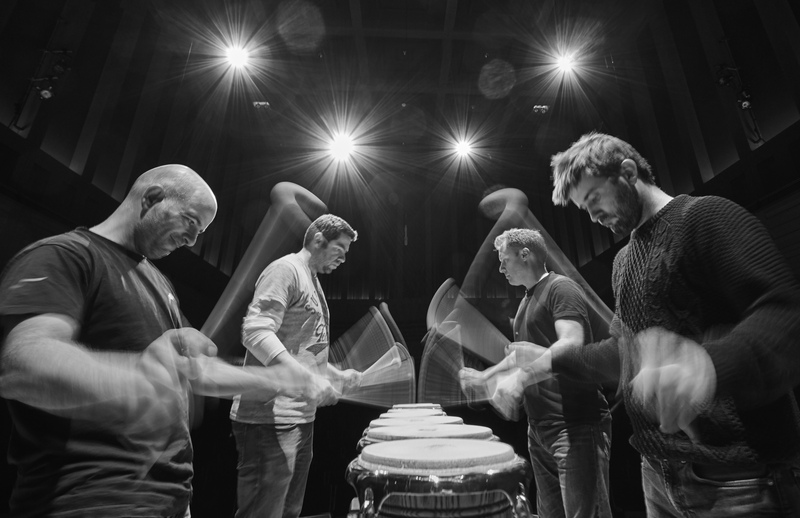 A dominant premiere in the quartet’s first season is a substantial new work for four marimbas by Kevin Volans, performed alongside Joseph Pereira’s Mallet Quartet, works by Steve Reich and solo pieces by Xenakis and Stockhausen, performed by Currie. Performances in the quartet’s debut season include the NCPA Beijing and Wigmore Hall, amongst other UK and European venues. Colin Currie and the JACK Quartet give the debut performance of their new chamber project at the BBC Proms at … Cadogan Hall on 13 August 2018. The lunchtime concert, which will be broadcast live on BBC Radio 3, features the world premieres of two new works for quartet and percussion. Suzanne Farrin Hypersea and Simon Holt Quadriga have been commissioned for Currie and the quartet and form the core of their new collaboration, alongside two virtuosic Xenakis chamber works, Rebonds B for solo percussion and the 1983 string quartet Tetras. "The biggest thrill of all, for me, was hearing how Part One of Steve Reich's Drumming can sound in the Albert Hall… it's not possible to play this piece more vibrantly and precisely than these four did." The Colin Currie Group’s recording of Steve Reich Drumming, released on Colin Currie Records in March, has been met with great critical acclaim. The recording marked both the Group’s debut and the first release on the new Colin Currie Records label. It was named as Editor’s Choice in Gramophone and Diapason and also received five star reviews from BBC Music Magazine and the Financial Times. Read a selection of the reviews below. "Colin Currie Group's own recording, honed through long performance practice, brings you into a magic circle where every impact is precisely heard, every overtone burnished." "Muscular and nuanced, punchy and poetic, this is a thrilling must-have." "The authenticity of this performance is clear: Reich and Currie have known each other for years, the percussionist a prominent advocate of the composer’s work"
"A Drumming for this decade – and probably a few to come, too." "An alluring blend of sonorities…The percussionists and the wordless voices of Synergy Vocals alike come across with a vivid presence." Colin Currie Records' next release is The Scene of the Crime, which features Colin Currie and Håkan Hardenberger. Released on 26 October 2018, the album includes music by Brett Dean, André Jolivet, Joe Duddell, Tobias Broström and Baniel Börtz. Colin Currie joins the Orchester der Ludwigsburg Schlossfestspiele on 22 June 2018 to perform Aho Sieidi under the baton of Pietari Inkinen at Forum am Schlosspark. Currie and the orchestra are also joined for the concert by members of the Colin Currie Group, who perform Steve Reich Music for Pieces of Wood and Part 1 of Drumming. "as neat and magnificent as a Rothko in its sewing-up of the bigger picture. A Drumming for this decade – and probably a few to come, too." 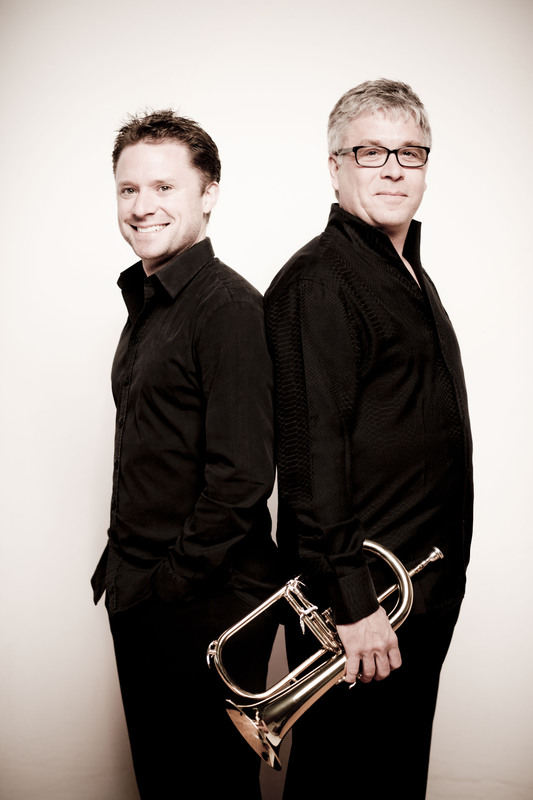 Colin Currie and Håkan Hardenberger continue their season-long tour of their duo programme on 3 June 2018 at the Bergen International Festival. Their performance at Grieg House includes the Norwegian premiere of Brett Dean …the scene of the crime…, co-commissioned by the festival, alongside works by Andre Jolivét, Tobias Broström and Joe Duddell. Currie also performs at the festival on 4 June with the PERCelleh duo, as the culmination of the season-long Crescendo mentoring scheme the Currie has undertaken with fellow mentors Leif Ove Andsnes and Janine Jensen. Currie and Hardenberger then immediately embark on joint recording sessions, for the second release on Colin Currie Records, scheduled for release in autumn 2018. 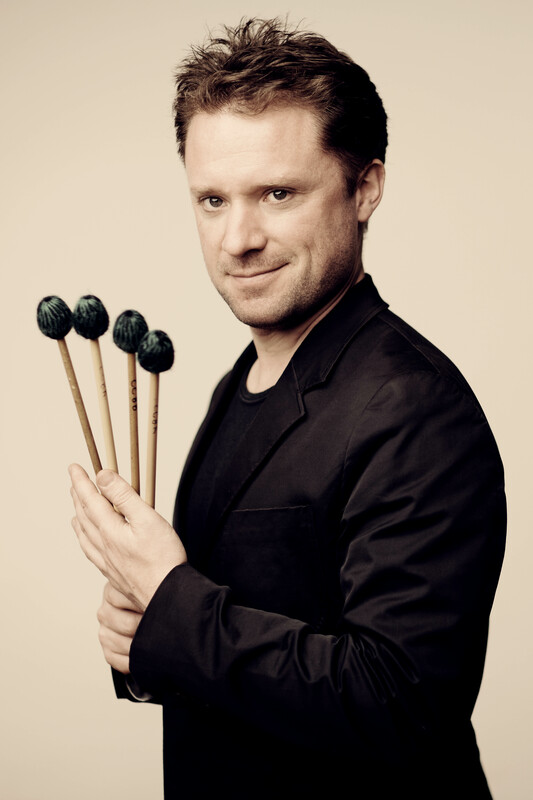 Colin Currie joins Het Gelders Orkest performing Roukens Percussion Concerto in three concerts around the Netherlands on 24 May in Apeldoorn, 25 May in Arnhem and 26 May in Nijmejen. Roukens Percussion Concerto was composed specifically for Currie who gave the world premiere in 2011, and these performances are conducted by Christian Vasquez. Elsewhere this month Currie joins the Brno Contemporary Orchestra for a performance at the Besední dům in Brno on 31 May. Currie performs Andriessen Tap Dance and Dave Maric Towards Future’s Embrace. Maric, who is a regular collaborator of Currie’s and a member of the Colin Currie Group, composed his work for Currie in 2012. Colin Currie Group perform Steve Reich’s Tehillim at the Barbican Centre's Sounds and Visions, a weekend curated by Max Richter and Yulia Mahr. The performance marks the group's debut at the Barbican. Synergy Vocals joins the Group, conducted by Colin Currie, to open the concert with Reich’s blend of minimalist style and ancient Hebrew texts. The programme then explores some of Richter’s most important influences, with the BBC Symphony Orchestra (conducted by Andre de Ridder) performing music by Ives and Berio and concluding with the London premiere of Richter's Three Worlds. The Colin Currie Group has enjoyed major success in the 2017/18 season, with a weekend residency at Louis Vuitton Fondation, Paris at the invitation of Steve Reich and the release of their critically acclaimed recording of Drumming. The group first performed Tehilim at Tokyo Opera City in March 2017 in the presence of the composer, who described their performance as “the best I’ve ever heard”. Colin Currie joins the Antwerp Symphony Orchestra for the Belgian premiere of Mark-Anthony Turnage Martland Memorial under the baton of Martyn Brabbins on 5 May 2018. This concerto-styled work, composed for Currie, is a tribute to composer Steve Martland and had its world premiere last year at the Southbank Centre. “Mark-Anthony Turnage’s new percussion piece made a striking centrepiece to this London concert… The closing 'Lachryme', so simple in design, has an eloquent melancholy that lingers. As always, Currie made a vivid focal point on multifarious percussion instruments, mostly marimba and vibraphone, but also cocking a snook with quacking duck calls, birdsong and car horn." Martland Memorial is co-commissioned by London’s Southbank Centre, Snape Maltings, Antwerp Symphony Orchestra and Minnesota Orchestra. Colin Currie returns to the Southbank Centre on 19 April 2018 to give the European premiere of Harrison Birtwistle Intrada for Piano and Percussion alongside Nicolas Hodges. The concert takes place at the recently reopened Queen Elizabeth Hall and is part of the International Chamber Music Series, a Southbank Centre co-promotion with Intermusica. Also included in the programme are duo and solo works including Stockhausen Klavierstuck X, Feldman The King of Denmark and Stockhausen Kontakte. Currie and Hodges gave the world premiere of the work at Washington’s Library of Congress in March. On 15 March Colin Currie, his Colin Currie Group bandmates George Barton and Matt Farthing and Intermusica staff members Kate Caro and Florence Eves successfully climbed the 932 steps of London's Tower 42 as part of homeless charity Shelter’s Vertical Rush challenge. The team’s fundraising efforts have resulted in a total of almost £2,000: 241% of their original target. Their fundraising page will be open until the end of April if you would still like to donate to Shelter – click here to donate. Colin Currie and Nicolas Hodges reunite on 24 March 2018 to give the world premiere of Harrison Birtwistle's new work for piano and percussion, Intrada, at Washington DC's Library of Congress. Alongside the new work Currie and Hodges perform other duo and solo works including Stockhausen Klavierstuck X, Feldman The King of Denmark and Stockhausen Kontakte. Currie and Hodges bring the work to London for the UK premiere at the Southbank Centre on 19 April. Intrada for piano and percussion is co-commissioned by the Library of Congress, Southbank Centre and De Doelen, Rotterdam. The Colin Currie Group's debut album, a recording of Steve Reich Drumming, is released on Colin Currie Records on 9 March 2018. Funded by a successful Kickstarter campaign, the project was endorsed by Reich, who said “it will be, I am sure, the best recording of Drumming ever made”. The recording is the first release on Colin Currie Records and was recorded at The Warehouse, London, alongside the Group's regular collaborators, Synergy Vocals. A Fly On The Wall filmed part of the recording sessions, which you can watch below. 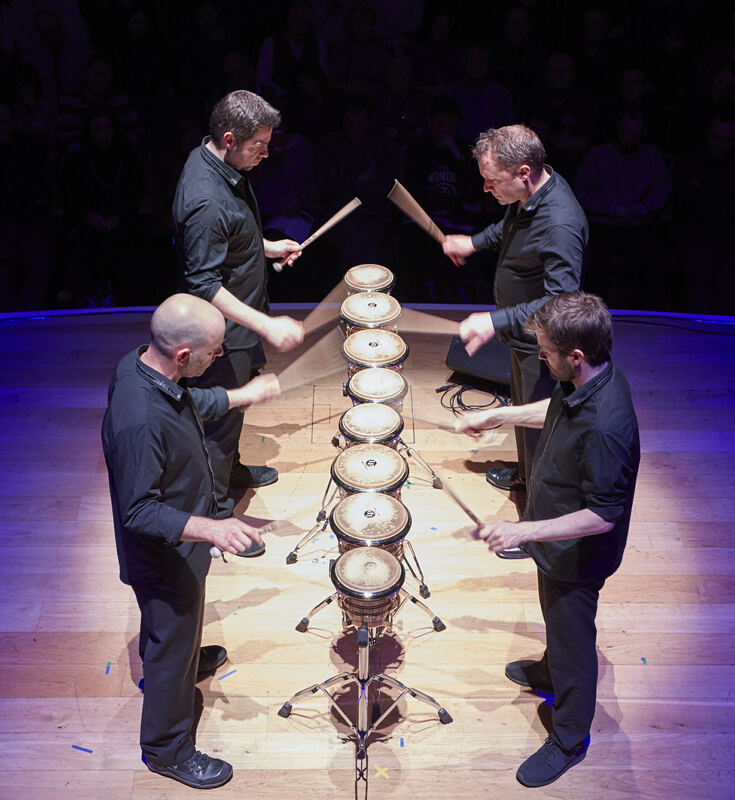 The group follows the release with a performance of Drumming with Synergy Vocals at Saffron Hall on 10 March. Colin Currie will sign copies of the Drumming recording after the concert, which also features performances of Reich Clapping Music and Mallet Quartet. Colin Currie joins the BBC Philharmonic at Bridgewater Hall on 17 February 2018 for a 60th birthday celebration concert for Simon Holt. Currie performs Holt a table of noises under the baton of John Storgårds. a table of noises was written by Holt for Currie, who gave the world premiere with the City of Birmingham Symphony Orchestra in 2008. Last season Currie's recording of the work with the Hallé Orchestra and Nicholas Collon was released on NMC Records. Currie and Storgårds then travel to Scotland where they tour Rautavaara Incantations with the Scottish Chamber Orchestra. They perform at Easterbrook Hall, Dumfries on 28 February, Usher Hall, Edinburgh on 1 March, Glasgow City Halls on 2 March and Eden Court Theatre, Inverness on 3 March. Colin Currie returns to Houston Symphony this month to give three performances of Corigliano's Conjuror at Jones Hall on 2,3 and 4 February 2018. Currie performs under the baton of Fabien Gabel in the programme of French and American classics, which also includes Ravel Daphnis and Chloé. Currie next returns to the US in March to give the world premiere of Harrison Birtwistle Intrada for piano and percussion at the Library of Congress, and for solo recitals in Minneapolis and Lawrence University. Elsewhere this month, Currie joins the BBC Philharmonic to celebrate the 60th birthday of composer Simon Holt and then performs Rautavaara Incantations in Scotland with the Scottish Chamber Orchestra. The Colin Currie Group begins the new year with a performance at London’s Kings Place on 20 January 2018, part of the venue's new Time Unwrapped series. Time Unwrapped runs throughout 2018 and explores how music can “stretch time, condense it, reverse it, organise it, atomise it, tangle with it and suspend it altogether”. Time Unwrapped provides audiences with fifty different experiences of time, with performances from a diverse range of artists. The Colin Currie Group’s performance, Time Phase, features a range of music by Steve Reich including New York Counterpoint for clarinet and tape, Quartet (written by Steve Reich specifically for the Group) and Drumming Part 1. The Group recently announced that their recording of Drumming is released in Spring 2018 on Colin Currie Records. The Colin Currie Group travels to Paris to give three performances at the prestigious Fondation Louis Vuitton on 2 and 3 December 2017. At the invitation of the Steve Reich, the Group takes part in a weekend celebration of the composer as part of the Fondation's exhibition, Being Modern: the MoMA in Paris. Reich himself will be present and will take part in a series of talks and performances, including performing Clapping Music with Colin Currie. The Group’s programmes include Quartet, Drumming, Music for Pieces of Wood, Mallet Quartet, Music for Mallet Instruments, Voices and Organ as well as adding Pulse and Proverb to their repertoire (both to be conducted by Colin Currie). They are joined for the concerts by Synergy Vocals. Other performances for the Group this season include at King's Place in London in January and at Saffron Hall in March. "the formidably gifted Currie showed himself an absolute master of his instrumental battery. He could draw the most delicate of sounds from the instruments as well as thunder that carried above the full orchestra." "Currie gave a riveting, athletic performance, moving among the vast array of percussion with the intense alertness of a prize fighter"
Click here to read more about the Royal Stockholm Philharmonic's Composer Festival. Colin Currie and Håkan Hardenberger continue their long-established collaboration this month, giving the UK premiere of Brett Dean's The Scene of the Crime at the Snape Maltings on 11 November 2017. The concert, which also features Joe Duddell Catch and Tobias Broström Dream Variations, is the culmination of a week-long programme with the students of the Britten-Pears Young Artist Programme, during which Currie and mentor the young percussionists and trumpeters separately and in joint repertoire works. Currie and Hardenberger then travel to London to debut their new recital programme at the Wimbledon International Festival on 15 November. Across the 17/18 and 18/19 seasons the duo perform their adventurous new programme, including newly commissioned works, at various festivals, including the Wimbledon and Bergen International Festivals. Colin Currie has announced the creation of his own record label, beginning with a recording of Steve Reich’s Drumming, released in March 2018. Distributed by LSO Live and its partners worldwide, Colin Currie Records is a platform for the soloist's diverse projects, celebrating the extraordinary developments for percussion music over the past century. Hailed as “the world’s finest and most daring percussionist” (The Spectator), Currie is an exhilarating solo and chamber artist at the peak of his powers. As the driving force behind new percussion music for 20 years, Currie has irreversibly transformed the percussion landscape for soloists, challenging and commissioning today’s foremost composers to write new works. Currie has had works written for him by composers such as Steve Reich, Louis Andriessen, James MacMillan, Mark-Anthony Turnage, Brett Dean, Anna Clyne, Andrew Norman and Julia Wolfe, with future premieres planned of works by Helen Grime, Harrison Birtwistle, Simon Holt and Andy Akiho. Currie’s commitment to commissioning and creating new music was recognised in 2015 by the Royal Philharmonic Society who awarded him the Instrumentalist Award. "The percussion world has expanded exponentially, with more opportunities for soloists and young performers than ever before...and the wealth of new music in the past twenty years is staggering. I'm incredibly honoured to play my part in that. It seems a seminal and important moment to capture these remarkable developments on record and I'm very excited about having the chance to curate my own recordings." London Symphony Orchestra’s label, LSO Live, will support the creation and development of Colin Currie Records and distribution of its recordings. Currie is the first solo artist to partner with LSO Live, following the launch of labels for the Mariinsky Orchestra and the Choir of King’s College, Cambridge. Currie first collaborated with the London Symphony Orchestra aged 15, performing a concerto with the orchestra as Gold medal winner of the Shell LSO Competition. This new partnership will cement their relationship and shared values, including their joint commitment to championing new British music. Future release plans on Colin Currie Records include a solo recital disc featuring works by Carter, Xenakis, Stockhausen, Hosokawa, Mantovani and Wallin as well as further recordings of Reich’s repertoire with the Colin Currie Group. Colin Currie Records launches with a concert at London's Kings Place on 20 January 2018, in an all-Steve Reich programme performed by the Colin Currie Group. Colin Currie returns to Scotland this month for two performances at Sir James MacMillan's The Cumnock Tryst. On 28 September Currie joins the Scottish Ensemble for the festival's opening concert to perform the world premiere of a new work for percussion, piano, electronics and orchestra by regular collaborator Dave Maric. Currie then performs a solo recital at New Cumnock Town Hall on 29 September. Currie also partakes in education and outreach work as part of the festival, which culminates in a Kaleidoscope concert on 29 September with Drake Music Scotland, Sir James MacMillan, Matilda Brown and the Scottish Ensemble. The Cumnock Tryst, which takes place annually in his native Ayrshire, was founded by MacMillan in 2014, and this year won the Arts & Business Scotland's Placemaking Award. This years festival runs from 28 September to 1 October and features further performances from Westminster Cathedral Choir, Sean Shibe and Ian Peaston. Colin Currie’s premiere recording of the late Elliott Carter’s Two Controversies and a Conversation is released this month, on Friday 11 August 2017, on Ondine records. Elliott Carter: Late Works is dedicated to the late catalogue of Carter, who died in 2012, and features five premiere recordings. Currie performs the work with Pierre-Laurent Aimard, The Birmingham Contemporary Music Group and BBC Symphony Orchestra, conducted by Oliver Knussen. In 2010 Carter wrote Conversations, a mini-concerto for piano and percussion at the request of Currie who felt that it would tickle Carter's imagination and enduringly inventive spirit, which it did. The following year, at the suggestion of Oliver Knussen, Carter added two brief prefatory movements and retitled the piece Two Controversies and a Conversation. Currie gave the world premiere performance with the New York Philharmonic, Eric Huebner and David Roberston in 2012. Currie’s previous release on Ondine of Rautavaara Incantations with Helsinki Philharmonic/Storgards won a 2012 Gramophone Award. Elliot Carter: Late Works is available from Ondine. “The most exciting work is enthralled by the boisterous virtuosity of its percussion soloist, Colin Currie… The rush of unchecked energy and invention in Andrew Norman’s Switch comes as a thrill. There’s a brilliantly elastic sense of play between soloist and orchestra, with every percussion instrument setting off a fun reaction in some part of the orchestra." Colin Currie and Sir James MacMillan return to the New Zealand Symphony Orchestra this July for a two-week tour from 6 July 2017, performing both MacMillan Veni, Veni, Emmanuel and Percussion Concerto No.2. Veni, Veni, Emmanuel is one of MacMillan's most performed works with over 500 performances since its 1992 premiere given by Dame Evelyn Glennie and the Scottish Chamber Orchestra. Percussion Concerto No.2 was written for Currie, who gave its world premiere with the Netherlands Radio Philharmonic in 2014. On 6, 7 and 8 July Currie gives the New Zealand premiere of Percussion Concerto No.2, conducted by MacMillan, in Hamilton, Auckland and Wellington. The programme is completed by Adès Polaris and Vaughan Williams Symphony No.4. They then join the New Zealand Symphony Youth Orchestra for two performances of Veni, Veni, Emmanuel in Wellington and Auckland on 14 and 15 July. MacMillan also conducts the world premiere of works by two young New Zealand composers, Celeste Oram and Reuben Jelleyman, and mentors the participants of the NZSO Todd Corporation Young Composers Awards. The Colin Currie Group follows its "thrilling" (Times) performance at the Royal Festival with two concerts at the Elbphilharmonie in Hamburg on 11 and 12 May 2017. The two sold out performances also mark the group's debut at the venue. The performances are part of the Elbphilharmonie's Maximal Minimal festival, which celebrates the music of composers such as Steve Reich, Michael Gordon, Philip Glass and Terry Riley. For the first concert on 11 May, the Colin Currie Group performs Music for Pieces of Wood, Sextet and Drumming. On 12 May Colin Currie and Steve Reich perform Clapping Music followed by the Group performing Music for 18 Musicians. The Colin Currie Group have achieved the target on their first crowdfunding campaign, raising over £14,500 to record Steve Reich Drumming with five days to spare. The piece was the first work ever performed by the group; Steve Reich himself recently said that the recording "will be, I am sure, the best recording of Drumming ever made." "Thank you for being a part of our success. Together, we'll make an amazing recording." The Kickstarter runs until 12 April and there are still great rewards available to backers – click here to visit the page for more details. The Colin Currie Group has the team lined up, a venue confirmed and administrative costs covered, so all funds raised on Kickstarter will go directly towards recording the music. Colin Currie gave the world premiere of Mark-Anthony Turnage Martland Memorial at the Royal Festival Hall on 7 April 2017, performing the concerto with the Britten-Pears Orchestra conducted by Marin Alsop. The new work was written for Currie in tribute to composer Steve Martland, who died in 2013. They gave a repeat performance at Snape Maltings Concert Hall on 8 April. Martland Memorial is co-commissioned by the Southbank Centre, Britten-Pears Orchestra, Royal Flemish Philharmonic and Minnesota Orchestra. Today, 22 March 2017, the Colin Currie Group launches its first ever crowdfunding campaign on Kickstarter to raise money to record Steve Reich’s Drumming. Reich himself said, at the group’s Tokyo concerts in March 2017, that “it will be, I am sure, the best recording of Drumming ever made”. The Colin Currie Group has the team lined up, a venue confirmed and administrative costs covered, so all funds raised on Kickstarter will go directly towards recording the music. Rewards will be offered to supporters of the campaign: visit the Kickstarter page for more details. The campaign will run for three weeks, until 12 April, with the aim of raising £14,500. Without the full total, the recording won’t be possible so please share the page and, if you can, donate! Colin Currie releases two new records this month, beginning with the release of Bartók Sonata for Two Pianos & Percussion on Hyperion on 3 March 2017. Currie recorded the piece with Sam Walton, Cédric Tiberghien and François-Frédéric Guy at Henry Wood Hall, with the Guardian praising the recording's "jostling, gracious, deft playing". Currie follows this with the release of his recording of Simon Holt a table of noises on NMC records on 24 March. Currie was joined for the recording by Nicholas Collon and the Hallé Orchestra. 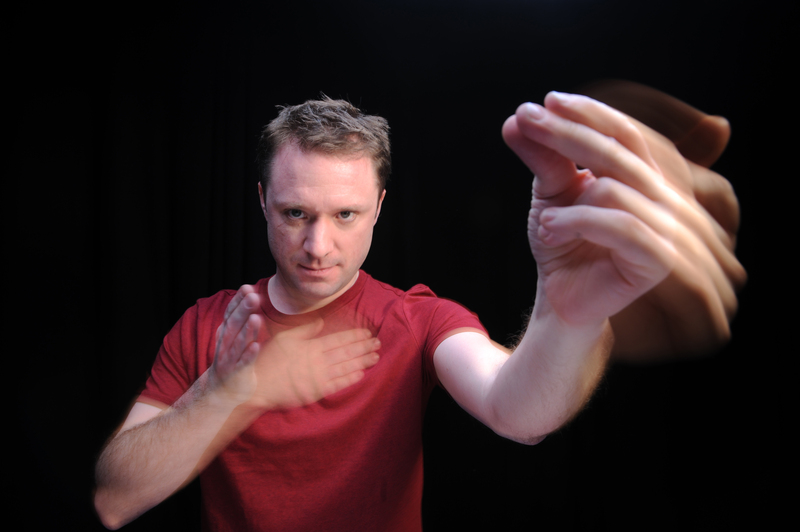 Premiered in 2008, a table of noises was written for Currie won the Best Orchestral Award at the British Composers Award in 2009. The work is comprised of 6 movements with five brief instrumental 'ghosts' interspersed, throughout which the soloist is seated on a Cajon with his instruments laid out in front of him on a table. Currie says "this percussion concerto exuberantly tears up the manual on how to approach the medium and I am thrilled with the idiosyncratic, adventurous results". The disc also features Holt St Vitus in the Kettle and witness to a snow miracle. a table of noises is available to pre-order from NMC now. The Colin Currie Group travels to Japan this month for two sold-out concerts at Tokyo Opera City on 1 and 2 March 2017. The group performs Steve Reich Tehillim as part of a worldwide celebration of the composer's music and his 80th birthday. The concerts also feature the Japanese premiere of Quartet, which was written for Currie, while Reich himself joins Currie to perform Clapping Music. The group performs Tehillim again in May at the Royal Festival Hall in London as part of the International Chamber Music Festival. Colin Currie makes his debut with the Pittsburgh Symphony Orchestra with two concerts on 10 and 12 February 2017 at Heinz Hall. He joins the orchestra to perform Sir James MacMillan’s first percussion concerto, Veni, Veni, Emmanuel, under the baton of Manfred Honeck. Currie most recently performed the concerto in his Danish National Symphony Orchestra debut in September 2016, also with Honeck conducting. He also regularly performs James MacMillan Percussion Concerto No.2, which the composer wrote for him. Alongside his Pittsburgh debut Currie also gives two major solo recitals in the US this month. He travels to Washington DC on 11 February to perform at the historic Sixth & I and to Princeton University on 14 February to give two back to back performances in Alexander Hall at 6pm and 9pm. He is joined for his Princeton performances by actor Michael Dean Morgan, who reads excerpts from Gabriel Garcia Márquez' short stories, upon which Currie’s closing recital piece, Rolf Wallin Realismos Magicos, is based. "[Currie] moved with taut physicality and fierce focus.. Currie inhabited different characters with each brief movement, the solo marimba singing in diverse dialects that changed with the mallets.. the furtive speechlike rhythms and cadences in the seconds-long movement “Dialogue With the mirror” evoked emotion too complex for words.."
"Currie is an energetic performer with a probing musical mind. .. Currie's performance had buoyant energy and he coaxed a color wheel of effects from the instruments spread across the stage." 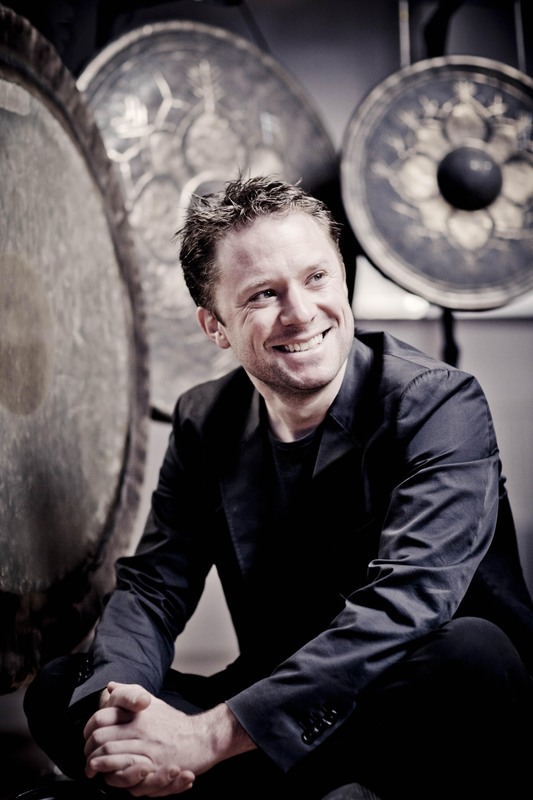 Colin Currie collaborates with percussion students of the Royal Academy of Music for a recital at the academy's Duke's Hall on 27 January 2017. Laura Bradford, Jacob Brown, Matthew Farthing and Emmanuel Joste will be mentored and rehearse with Currie before performing alongside him in Joseph Pereira Mallet Quartet and Steve Reich Mallet Quartet, intermingled with Currie’s solo recital programme. On 19 November members of the Colin Currie Group will lead a Reich Day at Wells Cathedral School’s Cedars Hall as part of the new hall’s opening season programme. Colin Currie, Adrian Spillett, Owen Gunnell and Sam Walton will join young percussion students from the specialist music school in an in depth exploration of the works of Steve Reich. The morning’s workshops will be followed by a performance that afternoon featuring Clapping Music, Nagoya Marimbas, Music for Pieces of Wood, Mallet Quartet and Drumming Part 1. The Reich Day will be preceded the previous night by Currie performing a solo recital at Cedars Hall. Currie will perform his new recital programme, launched last June, which includes Elliot Carter Figment V, Mantovani Moi, jeu and Xenakis Rebonds B. The Colin Currie Group makes its debut at Cambridge Music Festival on 8 November 2016 with a performance featuring Steve Reich Music for 18 Musicians. The concert follows the group's sold-out debut at Macau International Music Festival in October. Prior to the concert at Cambridge Corn Exchange, Steve Reich joins Colin Currie in a pre-performance talk at The Guildhall, Cambridge, featuring discussion and performance of his music. Reich then joins Currie to open the concert with Clapping Music, after which the Colin Currie Group performs Music for Pieces of Wood, Mallet Quartet and Steve Reich’s seminal piece Music for 18 Musicians. Later in the 2016-17 season, the Colin Currie Group returns to the Southbank Centre and Tokyo Opera City Concert Hall for performances of Steve Reich Tehillim and also gives two concerts at the new Elbphilharmonie in Hamburg. Colin Currie performs two solo recitals this month in Wells and Glasgow on 18 and 25 November 2016, performing his new solo recital programme which he launched last season. The programme for the recitals at Wells Cathedral School and the Royal Conservatory of Scotland includes Elliot Carter Figment, Mantovani Moi, jeu and Xenakis Rebonds B. The recital at the Royal Conservatoire of Scotland will be broadcast live on BBC Radio 3, and you can click here to watch Currie perform Rebonds B for In Tune on BBC Radio 3. Elsewhere this month, Currie also travels to the United States where he joins the Rochester Philharmonic for two performances of Jennifer Higdon Percussion Concerto on 3 and 5 November. Colin Currie Group debuts at the 30th Macau International Music Festival on 7 October 2016, performing music by Steve Reich in the same week as the composer’s 80th birthday. The performance at Macau Cultural Centre includes Music for Pieces of Wood, Mallet Quartet and Drumming and sold out months in advance. Whilst in Macau, Colin Currie also gives a masterclass to local percussion students and a presentation on the music of Steve Reich as part of the festival’s outreach programme. The performance in Macau begins a busy 16/17 season for the group which also includes returns to Tokyo and London, performances at the newly opened Elbphilharmonie in Hamburg and at Cambridge Music Festival. The Group has also expanded their repertoire with the addition of Steve Reich’s Tehillim. Colin Currie makes his debut with the Danish National Symphony Orchestra with three concerts on 8, 9 and 10 September 2016. Currie performs Sir James MacMillan’s first percussion concerto, Veni, Veni, Emmanuel, under the baton of Manfred Honeck at Copenhagen Konserthuset. Later this season Currie again perform with Honeck in his Pittsburgh Symphony debut at Heinz Hall. Colin Currie travels to the US for a return performance at the Grand Tetons Music Festival, with two concerts on 5 and 6 August. Grand Tetons Music Festival is this year celebrating the 10th year of Runnicles’ as Musical Director and Currie will join Runnicles and the Festival Orchestra to perform Christopher Rouse Der Gerettete Alberich. A regular performer in North America Currie will next perform in Oregon in October as he enters his second season as Artist in Residence with Oregon Symphony Orchestra and will perform with Rochester Philharmonic in November. Colin Currie travels to Australia this month to join Sydney Symphony Orchestra and Amy Dickson to give the world premiere performance of Ross Edwards’ double concerto for percussion and saxophone, Frog and Star Cycle, at Sydney Opera House on 7 July 2016. The world premiere is followed by three further performances on 8, 9 and 11 July. Currie then travel to Wyoming to perform at Grand Teton Music Festival in August. Colin Currie Group gave sold out performances in London and Rotterdam on 24 and 26 May, with all performances met with critical acclaim. Over the course of three days, the group performed at the Royal Festival Hall followed by two performances at the Laurenskerk in Rotterdam. Currie and group member Owen Gunnell then went onto Musik im Riesen in Innsbruck to perform in Drumming and lead masterclasses. The group played Music for 18 Musicians in London and Rotterdam, with Mallet Quartet and Quartet added to the programme in London. They have also just recorded Quartet, overseen by Reich himself, for future release on Nonesuch Records. "The joy here was the sense of communion between the visibly enthused performers and a beaming audience high on hypnotic percussion"
Colin Currie’s world premiere performance of Andrew Norman’s percussion concerto, Switch, has been released on Reference Records. Dawn to Dust, recorded with the Utah Symphony and Music Director Thierry Fischer, features world premieres of three new works commissioned by the orchestra. Also featured on the disc are Augusta Read Thomas EOS (Goddess of the Dawn) and Nico Muhly Control. The Colin Currie Group return to London on 24 May 2016 to celebrate Steve Reich’s 80th birthday with a performance at Royal Festival Hall as part of Southbank Centre’s International Chamber Music Series. The group performs a programme of Music for 18 Musicians, Mallet Quartet and Quartet. The group then travels to Rotterdam where to give two performances of Music for 18 Musicians in collaboration with De Doelen at Laurenskerk on 26 May at 8 and 10 PM. Elsewhere this month Colin Currie appears with the Lapland Chamber Orchestra in Rovaniemi on 6 and 7 May and Orchestre de Picardie in Amiens and Soissons on 19 and 20 May. He then travels to Ottawa for concerts at Canada’s National Arts Centre with the National Arts Centre Orchestra. Colin Currie joins Thierry Fischer and the Utah Symphony Orchestra on 29 April 2016 in their return to Carnegie Hall for the Utah Symphony’s 75th anniversary celebrations. The programme features Haydn Symphony No. 96 “The Miracle”, Bartók Suite from The Miraculous Mandarin and a performance of selections from Prokofiev Romeo and Juliet. Currie performs the New York premiere of Andrew Norman Switch, which was commissioned especially for Utah’s anniversary and premiered in November 2015, followed by the UK premiere in November 2015 with the BBC Symphony Orchestra. Utah Symphony Orchestra’s milestone is being marked over the course of the 2015-16 season. Highlights included a Mahler symphonic cycle and collaboration with Utah Opera and Ballet West. Watch a film about the World Premiere of Switch by Andrew Norman performed by Utah Symphony and Colin Currie conducted by Thierry Fischer here. In addition to the concerts, Currie performs solo repertoire in the OSESP's matinee series and gives a percussion masterclass. Colin Currie Group will perform Reich’s Tehillim during the 2016/17 season at Tokyo Opera City Concert Hall on 1 and 2 March 2017, and at the Royal Festival Hall at the Southbank Centre, London, on 5 May 2017. For all three concerts the group is joined by Synergy Vocals. The concerts mark an important new piece of repertoire; the Tokyo concerts will be the first time the group has performed Tehillim. Reich composed the piece in 1981 for six percussionists, four women’s voices, woodwinds, electric organs and strings. A setting of four Hebrew Psalm texts, the London performance will be part of the Southbank Centre’s Belief and Beyond Belief festival exploring religion, community and worship. It also marks the group’s return to Japan, following their debut there in December 2012. Find out more on the Tokyo Opera City Concert Hall and Southbank Centre websites. "Switch led off the evening; an inventive premise and dynamic performances by everyone involved made the concerto an instant hit"
Currie gave another world premiere at the BBC Proms in July, where he performed HK Gruber’s Into the open…, a work for orchestra and solo percussion. Across the 16/17 and 17/18 seasons, Colin Currie will be performing an adventurous new recital programme, including newly commissioned works first premiered in 2014 at the Wigmore Hall, Bergen Festival and De Doelen Rotterdam. 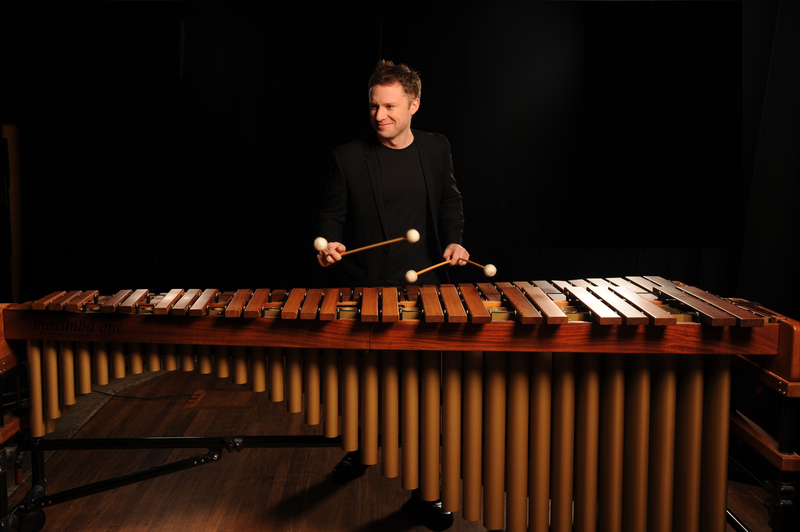 On 6 November 2015, Colin Currie gives the world premiere of an exciting new percussion concerto, “Switch”, by the promising young American composer Andrew Norman. Currie performs the premiere with the Utah Symphony conducted by Thierry Fischer, and goes on to give the European premiere with the BBC Symphony Orchestra and Sakari Oramo in December 2015, followed by the New York premiere at Carnegie Hall with the Utah Symphony in April 2016. Norman says of the work that "Every instrument Colin plays acts like a switch that turns on the other instruments in the orchestra. It's cause and effect — he'll hit a drum, and the oboe will turn on. He's constantly turning on and off various sections of the orchestra. It's almost as if he's changing channels on a remote." Colin Currie gives his first concerts as Artist in Residence of the Oregon Symphony with three concerts at Arlene Schnitzler Concert Hall on 26, 27 and 28 September 2015. Currie and the orchestra perform Sir James MacMillan’s first percussion concerto, Veni, Veni, Emmanuel, under the baton of Carlos Kalmar. 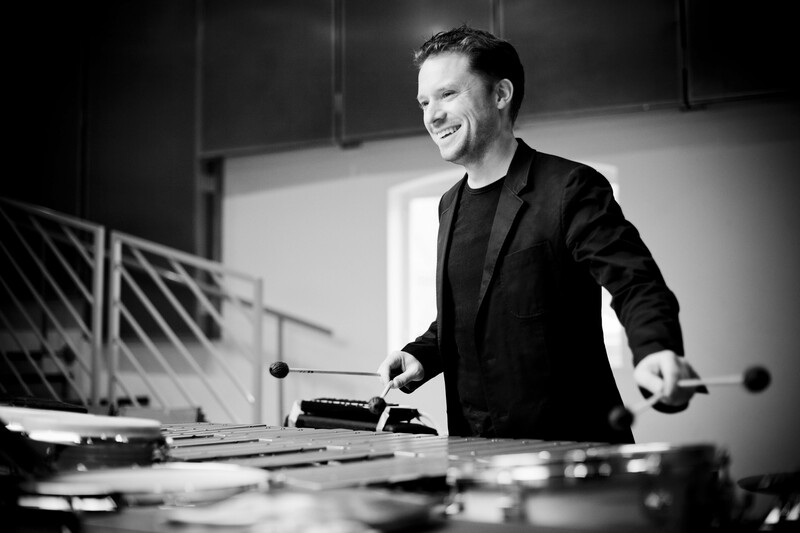 Colin Currie regularly performs MacMillan’s music, and gave the Scottish premiere of his Percussion Concerto No.2 at the Edinburgh International Festival on 14 August. 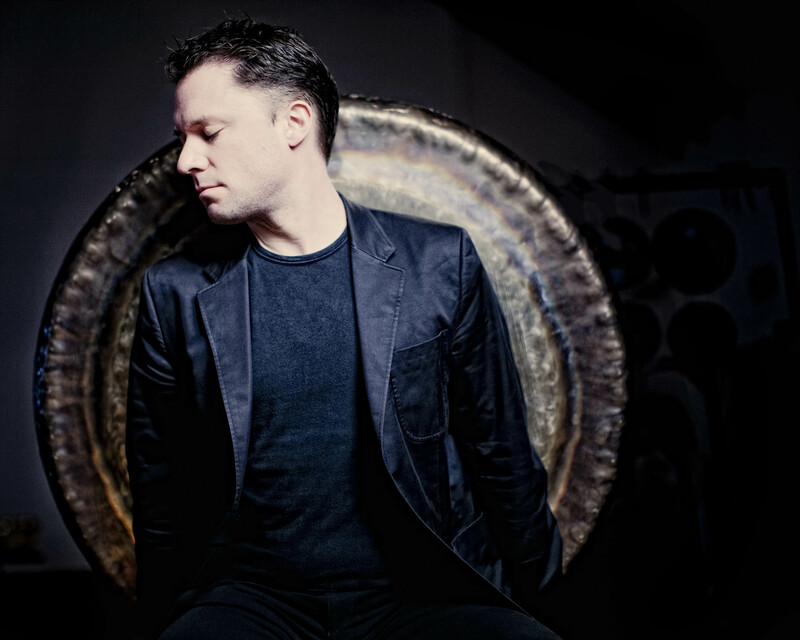 On 14 August 2015, Colin Currie makes his Edinburgh International Festival debut performing James MacMillan’s Percussion Concerto No.2 with the Royal Scottish National Orchestra. Edward Gardner conducts, with Sir James MacMillan in attendance for the Scottish premiere of his work. Currie returns to Edinburgh the following week to perform in a chamber recital at the Queen’s Hall on 21 August 2015, alongside pianists Simon Crawford-Phillips and Philip Moore and percussionist Sam Walton. The musicians fly straight from Helsinki, where the previous night they perform at the Helsinki Festival with other musicians as the Colin Currie Group. In Edinburgh, the four musicians perform music by John Adams, Steve Reich, Rolf Wallin and Bartok, and the concert will be broadcast live on BBC Radio 3. Also in August, Colin Currie performs the US premiere of MacMillan’s Percussion Concerto No.2 at the Cabrillo Festival on 7 August conducted by Marin Alsop, with whom Colin frequently collaborates. Looking ahead to the new season, Alsop conducts several more performances of MacMillan’s percussion concerto with Currie, first with the Baltimore Symphony Orchestra on 25 and 28 February 2016 and with three performances in Sao Paulo from 10 to 12 March 2016 to open the orchestra’s new season. The Colin Currie Group received some excellent reviews for its recent UK tour of concerts in Glasgow, Saffron Hall and Cardiff. The group played a range of programmes, performing Reich Music for 18 Musicians in Glasgow and at Saffron Hall, and a chamber-sized programme of Reich's music in Cardiff. "A shimmering wash of sound in this mesmerising performance. The ensemble drew the listener in completely to Reich's exquisitely ethereal soundscape." Mary Bevan and Colin Currie have won RPS Music Awards in the Young Artist and Instrumentalist categories respectively, while Marin Alsop’s Britten War Requiem project at the Southbank Centre has won the Learning and Participation category. They were awarded the prizes, for achievement in the UK during 2014, at a ceremony on 5 May in London where Currie also performed a short marimba solo. 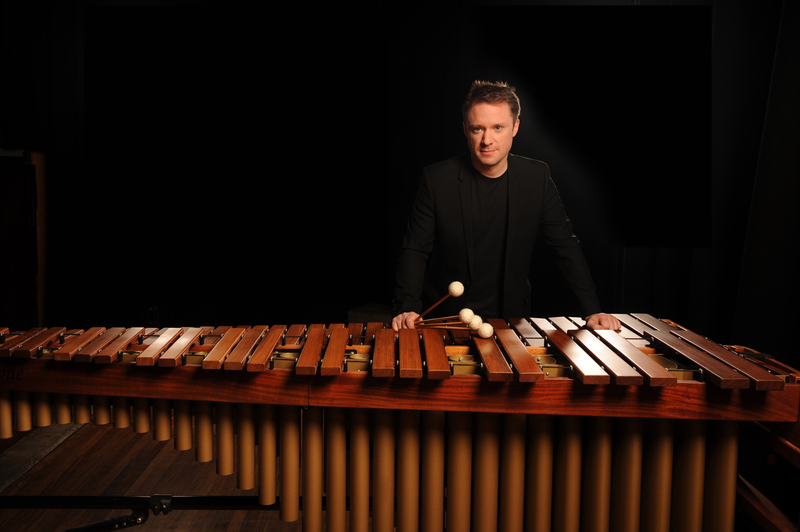 Colin Currie was the focus of the Metal Wood Skin percussion festival at the Southbank Centre from autumn 2014, which saw him perform premieres by Reich, Andriessen, Clyne and MacMillan and lead a variety of education events. The festival received acclaim from the press, the Financial Times praising it for “cutting-edge atmosphere, contemporary works, young audiences.” Currie also launched a new solo recital programme in 2014 at the Wigmore Hall and Sound Festival Aberdeen, including a commission by Rolf Wallin, and his other UK performances included with the Scottish Chamber Orchestra and BBC Scottish Symphony Orchestra. Mary Bevan’s 2014 began with Peter Grimes in January at English National Opera, followed by La clemenza di Tito with Classical Opera and Despina in Cosi fan tutte at ENO. In October she triumphed as Susanna in Mozart The Marriage of Figaro, also for ENO, prompting the Times to comment “her Susanna is gloriously acted and stylishly sung: a real coming-of-age” (Times, October 2014). Bevan has also been continually featured on the concert platform, singing with orchestras including the Orchestra of the Age of Enlightenment and Britten Sinfonia. Awards in 13 categories are chosen by eminent independent juries from the music profession and are unique in the breadth of musical achievement they span – from performers, composers and inspirational arts organisations to learning, participation and engagement. The list of winners since 1989 reads as a roll call of the finest living musicians. Colin Currie travels to Beijing on 17 May 2015 with the Miro Quartet to make his China debut at the National Centre for the Performing Arts, as part of the NCPA’s May Festival. Currie and the quartet have frequently collaborated at multiple venues in the USA, and their Beijing programme includes many of the pieces for string quartet and percussion which they regularly perform, including Steve Martland’s ‘Starry Night’ and Joseph Pereira’s ‘Strophe’, written for and premiered by Currie and the quartet in 2013. The programme also includes works for string quartet and for solo percussion. As part of the group’s visit to Beijing, they also give an outreach concert at Sihui station for members of the public and local schoolchildren. As well as performing works from their NCPA programme, the musicians will speak about the music and their instruments. Click here for further information about the performance. After a successful tour of the Netherlands earlier in April, the Colin Currie Group returns to the UK for three concerts of music by Steve Reich. The group’s first stop will be at Saffron Hall performing Music for 18 Musicians on 26 April 2015, followed by Saint David’s Hall in Cardiff on the 1 May, this time in a smaller chamber-sized formation including Quartet and Sextet. Next they appear as part of Glasgow’s Royal Concert Hall’s Minimal weekend with another performance of Music for 18 Musicians on 3 May as well as the Scottish premiere of Quartet. April sees the Colin Currie Group embark on a five-concert tour of the Netherlands. The first performance take place on 8 April at De Doelen Rotterdam, where Colin Currie is Red Sofa Artist in Residence, and includes the Dutch premiere of Reich’s Quartet. The following days will see performances in Nijmegen, Amsterdam’s Muziekgebouw, Tilburg and Middelburg – click here for full information on the tour. The group performs programmes of music by Steve Reich, including his Music for Pieces of Wood, Sextet, Mallet Quartet and Quartet and offers new repertoire at the Muziekgebouw in Amsterdam as part of the World Minimal Festival. Here the group tackles Crumb Music for a Summer Evening as well as Terry Riley The Heaven Ladder Book 5: 1.Cinco de Mayo and Reich Quartet. Colin Currie gives the world premiere performance of James MacMillan's Percussion Concerto No.2 on 7 November, with the Netherlands Radio Philharmonic Orchestra at TivoliVredenberg in Utrecht, under the baton of James Gaffigan. Following Currie's many performances of MacMillan's first Percussion Concerto, Veni, Veni Emmanuel, in the 22 years since it was written, MacMillan penned the second specifically for his fellow Scot. The UK premiere of the concerto takes place on 11 December, when Currie will perform the piece with the Philharmonia Orchestra at the Royal Festival Hall. Conducted by Santtu-Matias Rouvali, the performance will be the closing concert of Currie's acclaimed Metal Wood Skin percussion festival at the Southbank Centre. On 19 December, Currie travels to Toulouse to perform the new concerto with the Orchestre National de Capitole de Tououse at the Halle aux Grains in Toulouse and Le Parvis Scène Nationale, Tarbes-Pyrénées. Currie's performances of the concerto will continue into 2015/16, with Currie performing the piece alongside Marin Alsop and the Cabrillo Festival Orchestra, Baltimore Symphony Orchestra and São Paulo Symphony Orchestra. Colin Currie launches his Red Sofa – Frappez Toujours residency at Rotterdam’s De Doelen this week with a solo and chamber recital. Currie’s residency includes a world premiere of a De Doelen commission by Dave Maric and Dutch premieres of works by Steve Reich, Anna Clyne and Kalevi Aho among others. Currie performs with the Rotterdam Philharmonic, performs chamber music with Dutch musicians including the Doelen Kwartet, RPhO percussionists, the Codarts conservatoire students, and the Doelen Ensemble as well as bringing his own ensemble the Colin Currie Group. 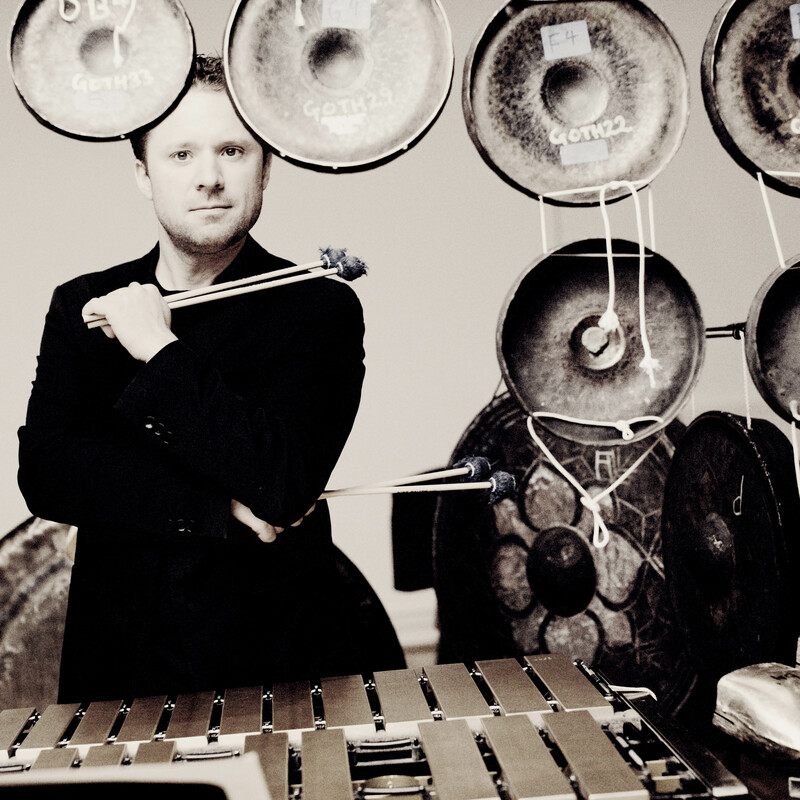 Metal Wood Skin: the Colin Currie Percussion Festival opens at Southbank Centre on 17 September, as Colin Currie performs Julia Wolfe’s percussion concerto riSE and fLY at the Queen Elizabeth Hall. The festival features four newly-commissioned works and runs until December 2014. Currie performs riSE and fLY for the opening concert of Metal Wood Skin with the Youth Orchestra of Bahia, conducted by Ricardo Castro. Currie then performs Samba and other Latin American styles of music with the orchestra’s percussion section in the Queen Elizabeth Front Room. 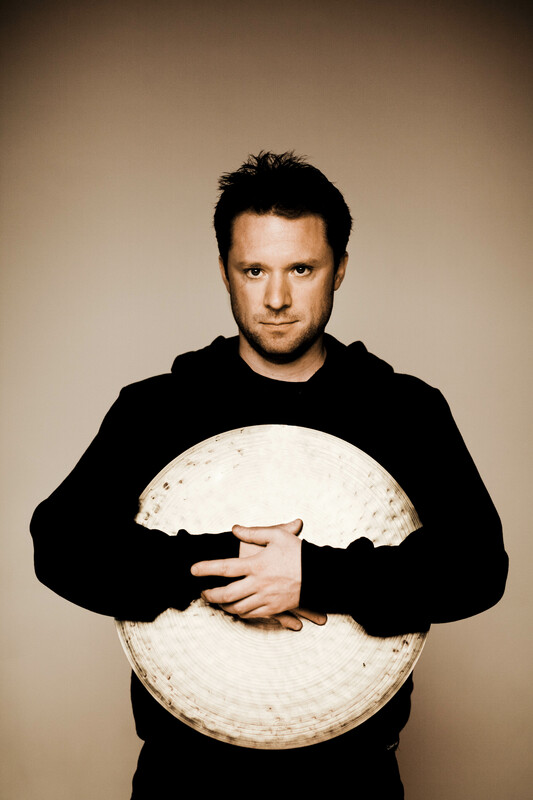 On 4 October Southbank Centre hosts The Big Percussion Workshop Day, led by Colin Currie Group members Adam Clifford and Catherine Ring. Currie also joins in the workshops, aimed at children over the age of eight. On 5 October, Currie performs the UK premiere of Louis Andriessen’s Tapdance with Asko|Schönberg, conducted by Clark Rundell. Currie and Asko|Schönberg gave the world premiere performance in May 2014 at the Concertgebouw, Amsterdam. In this concert Currie also gives the world premiere of Anna Clyne’s Secret Garden for solo drum kit, marimba & pre-recorded sounds. Following the concert, Currie performs with percussion students from Trinity Laban Conservatoire of Music and Dance – first Currie performs Kevin Volans’ Chakrawith the students, then he conducts Elliott Carter’s Tintinnabulation. 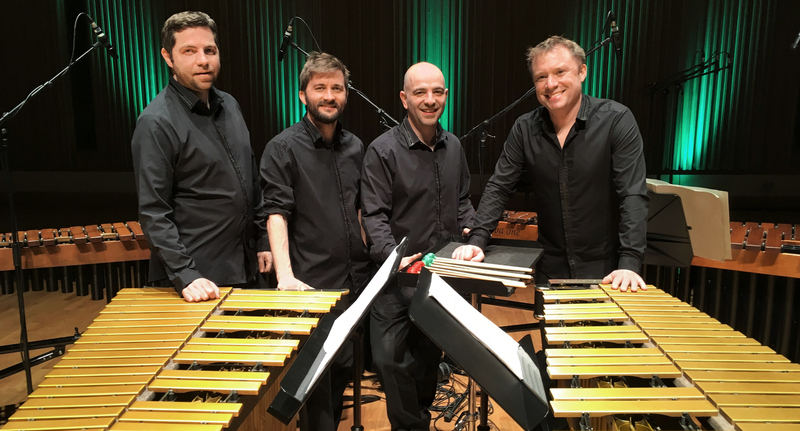 On 12 October, the Colin Currie Group returns to the Queen Elizabeth Hall for two performances of four Steve Reich pieces, in which they give the world premiere of Reich’s Quartet for two vibraphones and two pianos, written for and dedicated to the group. Currie also performs Clapping Music with the composer. The next concert is on 11 November, when Currie performs with the Aurora Orchestra under Nicholas Collon, dedicated to the memory of Steve Martland. Currie performs Martland’s Starry Night with the ensemble, as well as Horses of Instruction, and also plays Dave Maric’s Trilogy for solo percussion. Prior to the concert, Currie directs Trinity Laban students in the Queen Elizabeth Front Room in a performance of Steve Reich’s Music for a Large Ensemble. On 12 November, Currie performs a Schools Concert in the Clore Ballroom for children aged seven to eleven, interspersing performances of pieces by Schmitt, Norgaard and Maric with rhythm games and instrument demonstrations for the schoolchildren. On 7 December, Currie performs Birtwistle’s The Axe Manual with Tamara Stefanovich as part of the composer’s 80th birthday celebrations. Metal Wood Skin concludes on 11 December with Currie giving the UK premiere performance of James MacMillan’s Percussion Concerto No.2 with the Philharmonia Orchestra, conducted by Santtu-Matias Rouvali. Following the performance, Currie performs with students from the Royal Academy of Music; they perform Joe Pereira’s Mallet Quartet and Rolf Wallin’s Stone Wave. On 24 May, Colin Currie gives the world premiere of Louis Andriessen’s percussion concerto, Tapdance. He performs with the Asko|Schoenberg Ensemble under the baton of Reinbert de Leeuw at the Concertgebouw Amsterdam as part of their ZaterdagMatinee series. Currie performs Tapdance with the Asko|Schoenberg Ensemble for a second time in October 2014 at the Southbank Centre as part of his Metal, Wood, Skin percussion festival. Later in May, Currie travels to Glasgow to perform Elliott Carter’s Two Controversies and a Conversation for percussion, piano and orchestra on 28 May. Currie performs alongside Nicolas Hodges with the BBC Scottish Symphony Orchestra and conductor Ryan Wigglesworth at Glasgow City Halls. In April 2014 Colin Currie is celebrated at the Wigmore Hall, London, in a mini-residency, ‘Focus on Colin Currie’, which culminates with the premiere of his adventurous new solo recital programme on 7 April. The residency begins on 4 April when Currie leads a master class with four young percussionists studying at the Royal College of Music, Guildhall, Royal Academy of Music and Trinity Laban. The following day, Currie performs a family concert aimed at children aged 5 and over, in which he plays works by Matthias Schmitt, Per Nørgård and Dave Maric. Later that week, Currie travels to Scotland to perform James MacMillan’s Veni, Veni Emmanuel with the Scottish Chamber Orchestra, conducted by John Storgards. They perform first at Usher Hall on 10 April in Edinburgh, then at Glasgow City Halls on 11 April. Colin Currie performs Jennifer Higdon's Percussion Concerto in his first concerts with the Cleveland Orchestra, conducted by Giancarlo Guerrero, on 21 and 22 March. The concerts are part of the orchestra’s prestigious residency at the Adrienne Arsht Center for the Performing Arts in Miami, of which Guerrero is Principal Guest Conductor. As well as Higdon’s Percussion Concerto with Currie, Guerrero conducts the orchestra in Mozart Overture to The Abduction from the Seraglio and Holst The Planets. The Planets The latter work will be performed with high definition NASA images from space projected above the Orchestra on a large screen. A regular performer in North America, Currie then travels to Toronto to perform the Canadian premiere of Kalevi Aho’s Sieidi with the Toronto Symphony Orchestra at Roy Thomson Hall, conducted by John Storgards. He returns again later this season to perform with the Utah Symphony and Buffalo Symphony Orchestra in April 2014.